If you would you like to be listed, click here. Aaron's Ltd., Alternative Energy, Inc.
Canadian Kachelofen Kiesling Wood Fired Heating Systems Ltd.
Marcus Vacca - "Magnificent Stonework"
Maine Wood Heat Co., Inc.
Gene and Margie Padgitt - Chimney and fireplace design, building, and restoration. 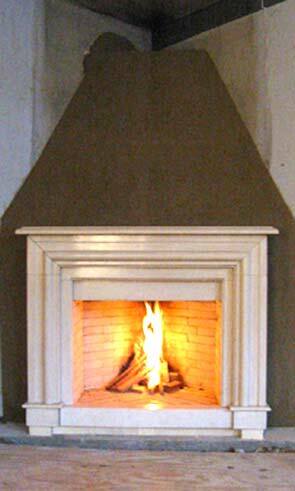 Rumford fireplaces, Bellfires fireplaces, masonry heaters. Historical restoration and relining. 1 State Certified Fire Investigator, 6 CSIA Certified Chimney Sweeps, 3 NFI Certified Woodburning Specialists. Sell and install wood and gas stoves and inserts in both Misouri and Kansas. Rainer Stoll - Tile Heaters (Kachelofen) - Radiant Heat, Beautiful Looks and Flexible Design. 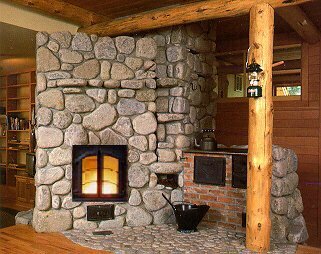 (Frank Roedgaard - Is building masonry heaters, cook stoves and fireplaces. Jessica Steinhauser designs, makes Kachel, and installs Kachelofen/Grundofen. Erik Nilsen - "Fabrictors of a modular masonry stove core system with oven and see thru options. Also stove facades and soapstone veneers for masonry stoves andÊsoapstone kitchen countertops and sinks." Doug Wood - "Design and construction of Masonry Heaters." - And some interesting quotes on radiant heat. Micah Young - "Masonry Heaters. Family owned and opperated & serving the entire southwest. 3'rd generation mason."